South Africa faces numerous challenges. Two of the most prolific issues that require urgent and immediate attention are rampant unemployment and a failing public education system, as both exacerbate poverty and inequality in the country. While national government continues to address these issues through structural reforms, increased spending on education, student funding and broader access to schools, more is required to accelerate change within the system. This is where the private sector must play a more significant role. As part of its comprehensive corporate social investment (CSI) programme, the SA Taxi Foundation adopted the JB Matabane High School in Ivory Park, Midrand. The company's aim is to establish a grassroots project that will increase access to educational opportunities and benefit learners within the company's local community. “The foundation funds projects and invests in initiatives that aim to make a meaningful contribution to and deliver a lasting social and economic impact on more South Africans,” explains Maroba Maduma, director at the SA Taxi Foundation. But rather than apply the conventional hands-off CSI approach of donating funds and walking away, the foundation developed a programme to promote sustainability and leave a legacy at the school. “Our initiatives span counselling and career development for grade 11 and 12 students, bursaries, and extra lessons, including a winter school, mentoring, goal setting sessions and tutoring.” elaborated Maduma. In 2018, the career empowerment programme helped 243 grade 11 students and 173 grade 12 learners find their ideal career fit. “This process included psychometric testing, career consultation, career talks and workplace readiness programmes,” he adds. As a follow up to this process, SA Taxi's sister company, Transaction Capital Risk Service this year invited 50 JB Matabane learners on a workplace orientation trip and conducted aptitude testing as a means to identify suitable . 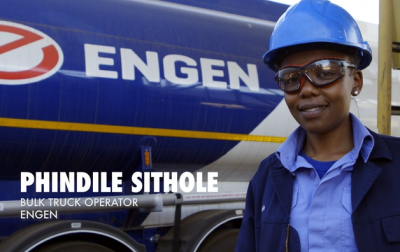 . .
Phindile Sithole, one of 16 female bulk truck operators employed by Engen says that while she fully supports Engen’s drive to secure a more gender-balanced world, she always knew that she wanted to be a truck driver and nothing was going to stand in the way of her achieving her dream. As a professional driver who often has to work long hours, Phindile says she feels honoured to have received the opportunity to work for Engen and enjoys every one of her shifts. “Believe it or not, I love the sound that trucks make and their size,” she says. Engen’s Head of Transformation and Stakeholder Engagement, Unathi Njokweni-Magida believes it is incumbent upon large corporations to address the ‘barrier’ that continues to exclude emerging black, and especially black female talent. “Gender balance is essential for economies and communities to thrive. It’s not only a gender issue but a business issue which is why women empowerment and transformation is at the core of every part of our operations and forms a critical part of our business plan,” she says. Phindile’s journey is just one of many inspirational Engen stories that will be shared as part of a new TV series which aims to create a positive narrative around South Africa’s success stories. The SA INC. TV series which launches on 7 April is a partnership between Business Leadership South Africa (BLSA), Brand South Africa and producers, Regency Global. "The future is definitely exciting for our industry and the theme for this year's International Women's Day, #BalanceforBetter, resonates particularly with Engen as a company, since we make an effort to strive towards balance across the entire value chain of our business, " adds Njokweni-Magida. Engen salutes all the women and men who are helping to close gender gaps in the world by empowering women in the economy. Post your #IWD2019 message on social media with your "hands out" balance pose for a strong call-to-action for others to also help forge a . . .
First Car Rental advances the future of South African car hire. 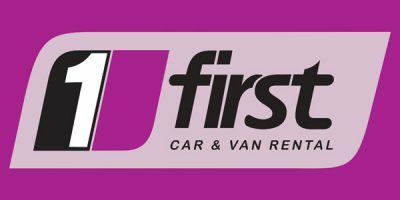 First Car Rental is first-to-market with self-service car hire GAUTENG, JOHANNESBURG, 21 NOVEMBER 2018 - If you are renting a car this summer, don't forget to pack your patience, unless of course, you are hiring from First Car Rental, who this week, launched South Africa’s first ever Car Hire Self-Service at major branches across the country. Says Melissa Nortje, Executive Head of Strategy, Development & Marketing at First Car Rental, “Our new self-service car hire, available at our major branches, is fast, efficient, convenient and paperless. Complete your renter profile at the branch, thereafter, it’s your new way of life! Book online, go straight to a self-service touchscreen, choose the car you want, sign on the screen and you are checked out, all in under 30 seconds.” Self-Service has been piloted at OR Tambo for the past 4 months with select methods of payment and is now ready for all market segments. Over the past 18 years, tech-savvy First Car Rental has led from the front in developing an impressive set of ‘first mobility’ facilities and software programmes in the car rental industry. Being first-to-market typically enables a company to establish strong brand recognition and customer loyalty (before competitors enter the arena), as was experienced when First Car Rental launched their first-in-world, first-in-market, Show&Go Corporate Facilities at their airport branches in 2011. This showstopper technology is popular with corporate travellers, and for good reason, as it ticks all the boxes that frequent flyers would want and benefit from. It entails companies opening an account with First Car Rental, then ‘mobile-readying’ their key staff who travel. These staff are then issued a tiered Show&Go card, and never step foot in a branch again. They step off the plane, walk a predetermined route to the Show&Go car park, where an agent is waiting with a tablet. No . . . The people of Randburg are set to reap the yummy goodness of a 24-hour Woolworths Foodstop and Krispy Kreme which has been added to the recently upgraded Engen Fairlands Convenience Centre. Engen partnered with Krispy Kreme earlier this year, offering fresh doughnuts on-the-go, at select Engen’s across the country to satisfy customer’s sweet cravings at all times of the day and night. Engen Fairlands Convenience Centre is located on the Corner of Beyers Naude Drive and Wilson Street, Fairland, Randburg. The new-look site was officially opened on 25 October, 2018. Customers can also enjoy a diverse range of convenience services including an Engen Quickshop, Wimpy and Corner Bakery. The 6-pump site offers customer’s quality fuels such as Engen Primax Unleaded and Engen Dynamic Diesel 50ppm with ease of access and service for heavy-duty vehicles and trucks. The owner of Engen Fairlands Convenience Centre, Dr Haroon Gutta is extremely excited to add the Woolworths Foodstop and Krispy Kreme to their bouquet of convenience offerings, which all operate 24/7. “We are very proud of our association with Engen and extremely excited to partner with Woolworths Foodstop and Krispy Kreme. Our customers are really looking forward to these new offerings. Our Site is positioned along the Gautrain route which serves both passing commuters in transit and our many regular local residents,” adds Dr Gutta. Says Engen’s Head of Retail, Seelan Naidoo: “Engen is very excited to see our network flourishing. Convenience and customer service remain key determinants of success in our industry. “We wish our dealer Dr Gutta and his team every success.” CLICK HERE to submit your press release to MyPR.co.za. . . . Global telematics leader continues to exceed expectations across all key operating metrics. Boca Raton, FL – November 1, 2018 – MiX Telematics (NYSE: MIXT, JSE:MIX), a global leader of fleet and mobile asset management solutions, today announced financial results for its second quarter and first half of fiscal 2019, which ended on September 30, 2018. Central to the continued growth trend is the addition of over 22,000 net subscribers during the second quarter, taking the total, global subscriber base to over 714,000. Subscription revenue grew over 18% year over year and adjusted EBITDA margin reached over 30% in the quarter. This was the ninth consecutive quarter of year over year adjusted EBITDA margin improvement, a key objective for the group. “MiX reported a very strong quarter, highlighted by our ability to exceed expectations across all key operating metrics.” said Stefan Joselowitz, Chief Executive Officer of MiX Telematics. “We remain well positioned to maintain this momentum for the second half of fiscal 2019 and beyond given the strong and growing pipeline of opportunities worldwide.” “I’d like to thank our teams that have delivered these great results. There’s no doubt that our customers around the world are benefitting from our broad product portfolio and the great service we provide” concludes Joselowitz. CLICK HERE to submit your press release to MyPR.co.za. . . .
Transnet National Ports Authority (TNPA) is exploring options to introduce a helicopter service at its Port of Cape Town to assist with operations during major swells and to increase the availability of service during stormy conditions. Cape Town has been plagued recently by weather related disruptions and high swell conditions. This has at times impacted on port operations and the use of pilot boats to transfer marine pilots onto and off vessels. Physical testing of the marine helicopter operation took place between 28 September and 5 October at the port using a helicopter that services the Port of Durban. 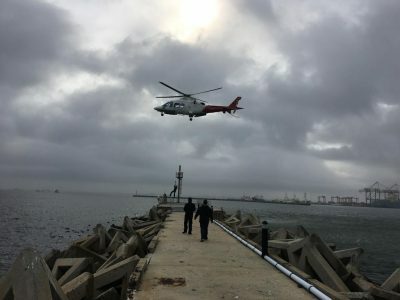 Port of Cape Town Harbour Master, Captain Alex Miya, who recently transferred from the Port of Durban, said: “Richards Bay and Durban are the only ports in TNPA’s complementary port system which use helicopters to transfer marine pilots. Our recent successful test exercise indicated that this is a viable service to offer at the Port of Cape Town.” At a recent customer forum in Cape Town, TNPA Chief Operating Officer Nozipho Mdawe said a fully-fledged feasibility study is being undertaken and TNPA will be engaging with customers to determine the best approach. “The process includes engaging with major customers to establish their level of interest and to test whether the service cost would be acceptable. We are also debating whether the service should be shared between the Western Cape ports or dedicated to one port,” she said. Mdawe said two options are being explored. The first involves stationing one of the existing TNPA helicopters in Cape Town to service the Western Cape ports, while the second entails partnering with a private helicopter company to render the service as and when swell conditions dictate or when there are insufficient pilot boats to meet the number of vessel calls. TNPA has an existing fleet of three AgustaWestland (AW 109) helicopters to service the Ports of Durban and Richards Bay but through its Fleet Replacement . . . In keeping with its vision of redefining the way shipping is done, Fastvan has launched an end-to-end on-demand SaaS platform to solve the delay, middleman and paperwork problems that come with traditional shipping. There has been a growing uptick of interest in the digitalization of the logistics sector in recent times, and Fastvan is responding innovatively with the inclusion of a fully automated approach to logistics. Fastvan is the leading all in one logistics platform for enterprises, with customers in multiple countries including some of the world's best-known brands please do look at www.fastvan.com . Our highly flexible yet powerful solution enables not only Logistic companies but Enterprises/FMCG/SME’s/Retail in multiple industries to quickly streamline the way they deliver goods and services, creating both operational efficiency and the optimal experience for their entire shipping ecosystem - from single or multiple Warehouses/Retail/DC’s to the field and all the way to the customer. Fastvan open platform is simple white label SaaS based platform easy to implement, use and manage through its different modules - web-based applications for dispatch and administration with TMS and SCM functionalities, branded mobile apps for drivers, and a branded mobile and web application experience for customers. It is highly scalable and can be used to easily customize the solution to fit our customers' needs and to integrate it across their existing systems. Enterprises and logistics service providers can now modernize their delivery infrastructure in multiple countries in multiple currencies and improve their operational efficiency from the management team at HQ or DC through the in-store and warehouse/distribution center operations teams, and all the way to the drivers and end-customers. The platform also offers warehousing solutions to help optimize and manage warehouses and inventories. From staging the warehouse for pickup through scanning and printing . . .
Furniture Removals – Duncan Logistics Furniture Removals and Household removals. Looking for a moving company in Pretoria North Pretoria Gauteng or several quotes from different companies in Pretoria North Pretoria Gauteng? With moving companies Pretoria North Pretoria your search has come to an end. Furniture and household removal from Pretoria North Pretoria is a company that have several transporter companies dealing in various aspects within the moving industry from Pretoria North Pretoria. We do the search work for you in giving you the best free obligation quote from several of our partners helping you choosing the right moving company for your removal needs from Pretoria North Pretoria to any place within south Africa. Locally or inter provincial. Moving Companies to Pretoria North Pretoria Gauteng Moving companies to Pretoria North Pretoria Gauteng from full loads, shared loads and return loads have all the information and skills at hand to provide our customers with quotes from moving companies to Pretoria North Pretoria Gauteng. 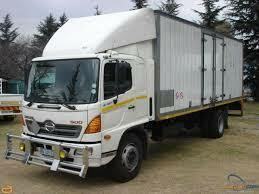 From loading point to delivery of household and furniture removal requirements to Pretoria North Pretoria Gauteng. Moving Company to Pretoria North Pretoria Gauteng will supply you with all the details needed to make a well informed decision on your moving company. Best Rates -Sunninghill, Gauteng www.duncanlogistic.co.za For all your Moving needs. Call Duncan Logistics furniture removals in Johannesburg offer you the best professional movers. We also do long distance removals # Furniture removals # House removals #moving company #mini movers # office removals #storages #packing services # warehousing #truck hire long and short distance. Example Rates: Moving a 1 bedroom House R 1250 Including labour Moving a 2 bedroom House R 1550 Including labour Moving a 3 bedroom House R 1750 Including labour Moving a 4 bedroom House R 2050 Including labour Moving a 5 bedroom House R 2550 Including labour Moving a 6 bedroom House R 3550 Including . . .